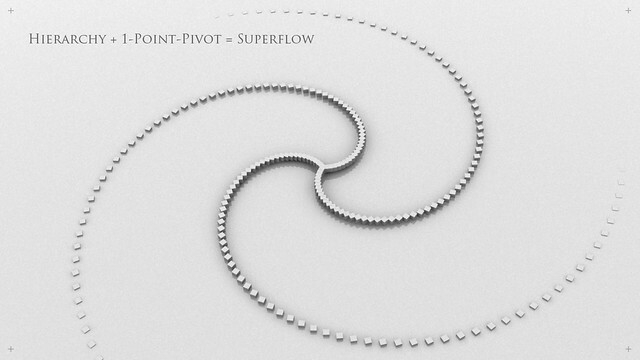 Superflow Original - This script setups a continous parent-child hierarchy between any selection and moves the pivot point to the first metaparent object. Discover the wonderful world of superflow! Submitted by rafness on Thu, 2016-11-03 12:31. If you haven't located it yet, they are under a new domain. Submitted by didiridou on Wed, 2016-10-19 04:01. Hi, where can I find this script please? Submitted by BorisK on Fri, 2014-12-12 09:45. Submitted by mayank.14 on Mon, 2011-08-08 03:49. Hi there I am not able to download the free version of Superflow Elements. Submitted by W DIGITAL on Sun, 2011-07-24 20:53.
it was temporarily unavailable, all back online now! 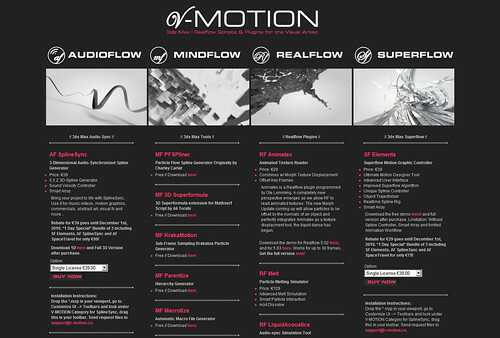 plus Superflow Elements is now after over half a year break, back on sale! Submitted by howtoscriptin3dsmax on Tue, 2011-07-05 11:05. How come suddenly all the tutorial video become private?????? Submitted by W DIGITAL on Mon, 2011-05-30 07:17. Submitted by Yusuf_ES on Fri, 2011-05-27 12:29. How i can download superflow demo? Submitted by Cheesus on Wed, 2011-03-30 19:36. Submitted by wearestardust on Tue, 2011-03-08 11:10.
i just created an account with scriptspot to contact you. I´v been trying to download your scrip various times now, but i always get an error (File not found. The link ID '5' is not found in our database. I´d really appreciate it if you could help me!